Euro­pa Wareh­ouse – SILAG‐Europalogistik – chan­ge of stra­te­gy wit­hin SILAG Logistics. SILAG buys an area of about 70 000 m² on Win­kels­weg in Lan­gen­feld ther­e­by expan­ding the Lan­gen­feld site signi­fi­cant­ly. Uti­li­sa­ti­on of the pre­vious SILAG pre­mi­ses in Son­ne­feld pas­ses to BAUR Ver­sand (Otto Group). 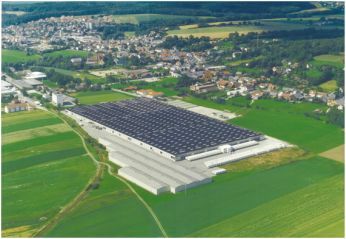 By July 2011, 60 000 m² of the SILAG‐Europa Wareh­ouse was being ren­ted and occu­pied by BAUR Ver­sand. BAUR ther­e­by opens a huge reser­ve store in the SILAG wareh­ouses.